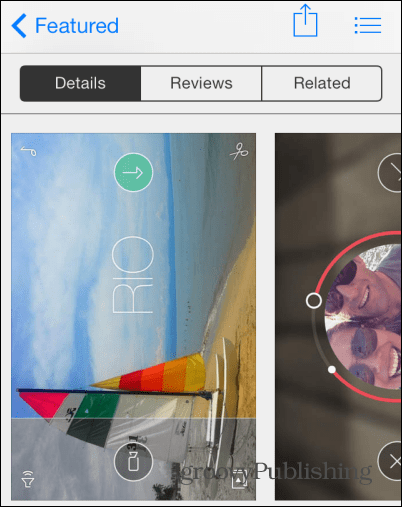 This week, Apple chose Spark Camera as its App of the Week. Normally $1.99, the app will remain free in the App Store for a very limited time. 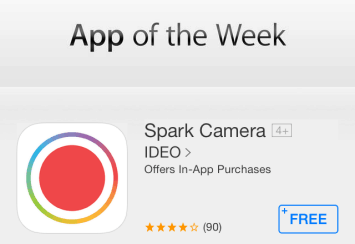 This week, Apple has chosen Spark Camera as its Free App of the Week. Normally $1.99, its free for a limited time so be sure to grab it now either for your iPhone or iPad. Spark Camera is an app which you can use to create beautiful videos in a very simple and quick fashion. You can capture video clips, then add filters to make them more beautiful, add some music to them and then share them with your loved ones via a social network. 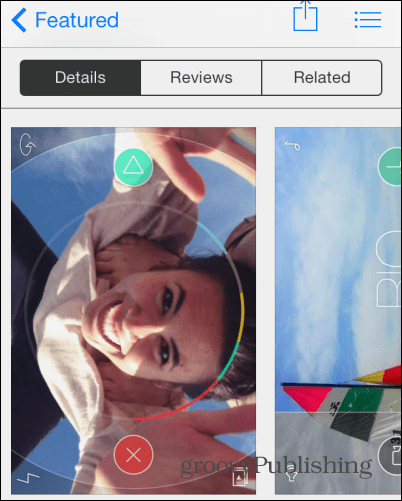 The app has been included in the App Store Best of 2013 list and is an Apple Editors’ Choice. Share on Twitter, Facebook, Instagram, iMessage, or email! It supports iPhone 4S and higher, as well as the iPad, as long as your device is running iOS 6.0 or later. You can use it to take as many short videos, called Sparks, as you want and it creates videos at 720p resolution – you can put together clips up to 45 seconds. You can add music from your own collection to said videos and the results are saved both in the app’s gallery and your camera roll. To get a better idea about this App of the Week, check out the video below, then grab the app before the deal is gone. Even though Apple doesn’t mention a date, as per its habits, the app should be free until January 22nd. I would neve think of looking for anything free from Apple. Always nice to see your post. It encourages me to get the free app. Thank you for your postings. I swear, 10 minutes ago the PacMan App was the free “App of the Week”. Either way, I grabbed this guy and will be playing with it. Nice thing about free, I can always delete it if it’s no good. Anyone play much with this guy? Love the video. Downloaded the app now and love that also! !